The San Francisco Giants will travel to play the Pittsburgh Pirates in the National League Wild Card Game Wednesday night. First pitch is at 8:07 p.m. ET on ESPN. The Pirates will send Edison Volquez (13-7) to the mound, and the Giants will send ace Madison Bumgarner (18-10). The winner will face NL East champion Washington Nationals. San Francisco will send Madison Bumgarner to the mound, who posted an ERA of 2.98 and a WHIP of 1.09 this season. Bumgarner has been an okay postseason pitcher, with a 3-2 record and a 3.79 ERA in six starts. The Pirates bit their self in the foot by pitching their ace Gerrit Cole on Sunday, even though they had clinched a playoff berth, in my opinion they should have gone with Volquez on Sunday. Volquez had a very good September with an ERA of 1.08. Volquez shocked many people this season, with a 3.08 ERA and a 1.23 WHIP. Volquez has pitched in one postseason game in his career back in 2010, and it was a poor performance, he went 1 2/3 giving up four runs on four hits. I will have to give Madison Bumgarner the edge based on his postseason experience, but if Volquez pitches like he did in September the Pirates will win. The Giants and the Pirates both had great Septembers. San Francisco offense ranked between tenth and eighteenth in runs, batting average, slugging percentage, and on base percentage. Buster Posey put up big number yet again, with a .311 batting average, 22 home runs, and 89 RBIs. Posey has struggled in the postseason with a .244 batting average, four home runs, and 14 RBIs. Pablo Sandoval had another good season, batting .279, with 16 home runs, and 73 RBIs. Sandoval has been a great postseason hitter, posting a .325 batting average in 22 games. 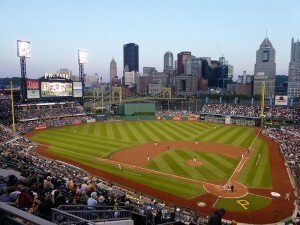 Pittsburgh ranked in the top 10 in every major offensive category. Pittsburgh has two MVP candidates in center fielder Andrew McCutchen and third baseman Josh Harrison. McCutchen had a .314 batting average, with 25 home runs, and 83 RBIs. McCutchen had a decent playoff last year posting a .333 batting average in six games. Harrison finished the season with a .315 batting average second in the National League to Justin Morneau, who hit .319. Harrison hit 13 home runs and 52 RBIs, he has never started a playoff game. The one thing that Pittsburgh does lack is playoff experience. The Pirates do have the clear advantage though with four starters hitting over .290 this season and their ability to steal bases. The Giants made a change earlier this season, promoting Santiago Casilla to closer after Sergio Romo struggled. Casilla finished the season with 19 saves and a 1.90 ERA. Like the Giants, the Pirates had to finish their season with a different closer than they started the season with. Mark Melancon took over for Jason Grilli and finished the season with a 1.90 ERA and a 33 saves. The Pirates bullpen had a 3.28 ERA this season, which was the ninth best in the Majors. Tony Watson headlined their bullpen with 77.1 innings pitched and just a 1.63 ERA. Jared Hughes also had a big season with a 1.96 ERA over 64.1 innings pitched. The Giants bullpen finished fifth in the Majors with a 3.01 ERA. Veterans Jean Machi and Jermey Affeldt had big seasons, with Machi putting up a 2.58 ERA in 66.1 innings and Affeldt pitching 55.1 innings and posting a 2.28 ERA. Ike Davis has battled flu like symptoms and Gaby Sanchez will start at first. If Davis is healthy enough to pinch hit, he could play a pivotal role late in the game, as he can change the game with one swing of the bat. The Pirates led the league in pinch-hit RBIs this season with 43, Travis Snider, and Sanchez provided 21 of those. Both, Snider and Sanchez are expected to start against the Giants. The San Francisco bench is weak now with the injuries to Angel Pagan and Mike Morse (who’s doubtful for the game). Those two injures have forced the Giants to move their bench players into the starting lineup. Clint Hurdle has done a phenomenal job with the Pirates, he turned a team that hadn’t been to the playoffs since 1992 into a contender. Pittsburgh has been to the playoffs in back-back seasons. Hurdle won the NL Manger of the Year in 2013, and has posted a 333-315 in four season with the Pirates. The Pirates lost in the NLDS to the St. Louis Cardinals in five games last season. It seems like every time Bruce Bochy makes the playoffs, he wins the World Series. The Giants have won the World Series the last two times they made the playoffs in 2010 and 2012. Bochy is 667-629 in eight seasons with San Francisco. Bochy is a great postseason manager and has the advantage this season. 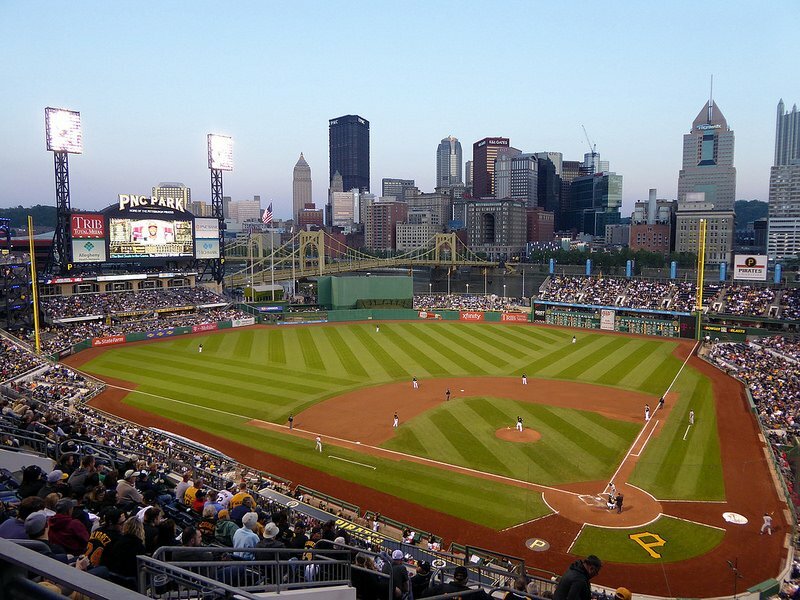 With the Pirates getting the home field advantage, their ability to score runs, and the way Edison Volquez has pitched lately I think they are the favorite in the game.